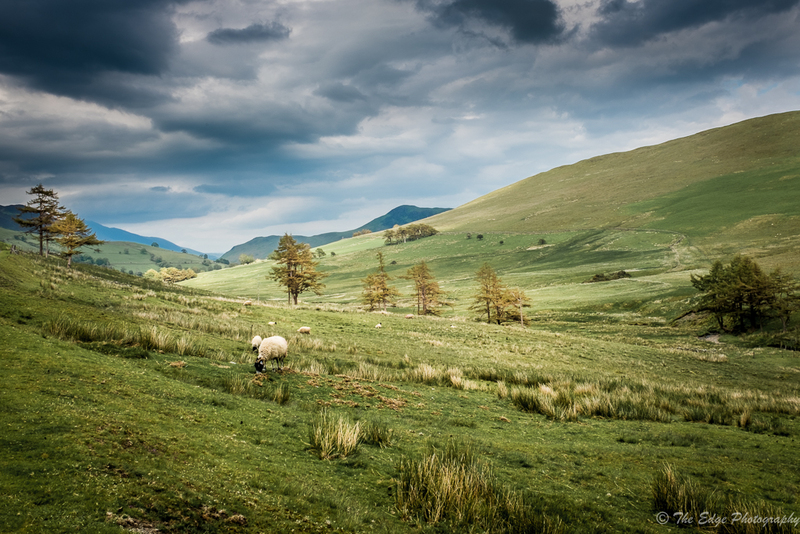 I recently visited the Lake District National Park in the UK for a few days on my way to Devon. I hadn’t been to this area for a few years and was looking forward to going back. 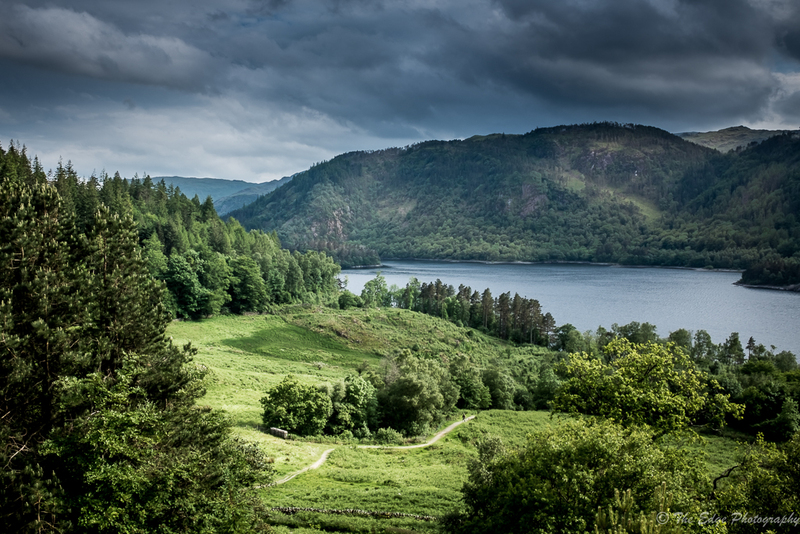 I was staying in the beautiful village of Grasmere, which is ideally situated to explore the area from Derwent Water to Lake Windermere with the towns of Keswick, Grasmere, Ambleside and Windermere being the main tourist attractions. The lake district itself is well known for walking and although in my younger days I had camped wild and climbed the big peaks this trip was to be a rather more sedate affair with only a bit of gentle lakeside and viewpoint walking planned. Of course I was hoping for some great photographic opportunities but I also knew I didn’t want to burdened with lots of gear. There are many blogs on the Internet that will confirm that the Fuji X System is the ultimate when it comes to light weight with high quality so that’s what it would be. My cunning plan saw me pack everything, X100s, X-Pro1, 10-24mm, 18-55mm, 55-200mm, 18mm, 35mm, Lee filters, batteries memory cards and other assorted accessories into my Think Tank backpack. Now you will immediately realise that while significantly smaller than a similar DSLR outfit this setup could not really be classified as travelling light. 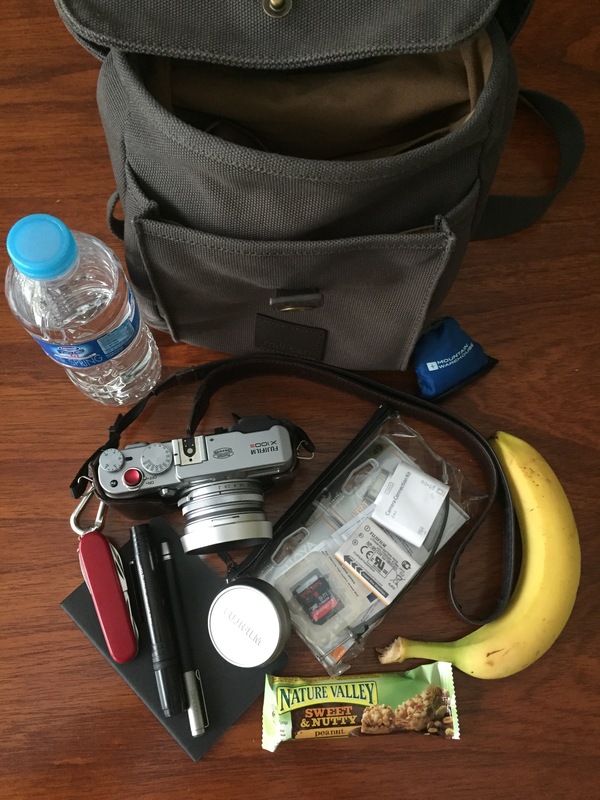 However, this, I reasoned would be my “base camp” and I would select what I wanted on a daily basis and carry it in a smaller bag, the beautifully made Millican “Rob The Traveller”; and it this little bag that I would like to review in this blog. My walkabout kit quickly developed into the following: X100s with leather case or X-Pro1 with one or two lenses, UV filter, Polarising filter, lens hoods, spare batteries, memory cards, cleaning kit, bottle of water, led torch, whistle, map, compass, small first aid kit, swiss army knife, notebook with pen and some snacks. All of this fit inside the compact little Millican bag and was a joy to travel with. I should say that in my opinion this is the minimum of equipment that should be carried for a day out walking on gentle paths and trails. Please note that I am not under any circumstances suggesting that you tackle any of the more challenging walks or venture into the high fells with this equipment. If you don’t know what equipment you need for these more challenging walks then you probably shouldn’t be going! But for a short five or six mile walk around the lakes it is ideal. The photo below shows some of the equipment ready to be packed for a short walk. The bag comes in a really thick canvas material and everything about oozes quality. It has slightly retro feel about it with brass and leather fasteners and detailing; it looks like it will last for years. The bag is available in three colours, which I would call tan, olive green (shown below) and blue. It has three compartments, a large main pocket which contains a soft divider for an iPad, Kindle, books, papers, etc. A water bottle holder and a zipped pocket that is useful for valuables. There is also a front cargo pocket that has two pen holders and a pouch for other small items such as a notebook and the main area, which will hold batteries, filters, memory cards, etc. On the back of the bag is another slim pocket that can be used for maps, tickets or passports. It is, indeed a very versatile little bag. Of course the camera equipment could easily be changed; for example the X100s could be replaced with the X-Pro1 and 18-55mm lens, or the 10-24mm lens with the 35mm lens, what about the 18mm and 35mm lens pairing or even for maximum versatility the 18-55mm with the 55-200mm. Any of these combinations will fit into Rob with room to spare and it makes for a nice easily carried bag. If you’re lucky you can even fit sunscreen and sunglasses in too. Indeed Rob is equally at home for days sight seeing around town when I would also add a full size iPad which goes in its own pouch in the rear of the bag. Of course nothing is perfect and I really wish the water bottle holder was on the outside of the bag, I really don’t like bottles of water sharing a bag with expensive electronics as I managed to kill an iPhone in Barcelona by doing this. For some it may be worth noting that there is no padding built in to the bag itself, although if you are worried about this you can buy an optional camera protector insert which is designed for the Fuji X Series. Indeed if you want this you can buy it as a package called “Robert” and save a few pounds. But these are only minor issues and after all is said and done I highly recommend these small Millican bags, if you’re travelling light they hold everything you need and are ideal for the Fuji X-Series. Check them out at homeofmillican.com. I’m now browsing the site for my next Millican, will it be “Keith” or “Mark”?